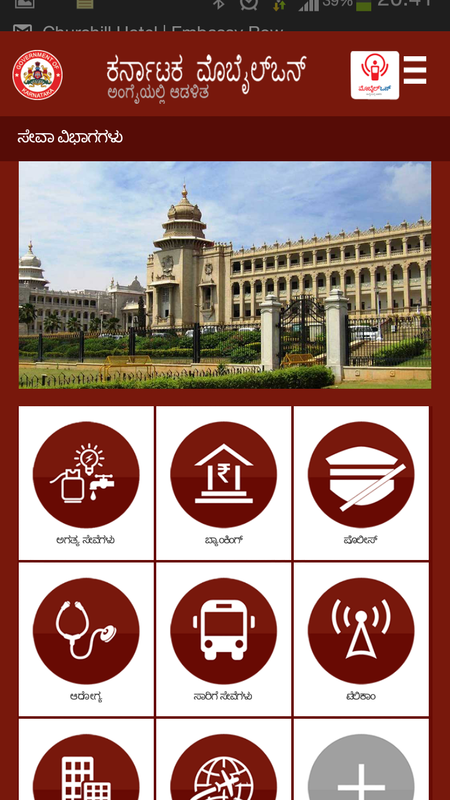 Karnataka MobileOne service was launched by The Government of Karnataka recently. According to them around 4500 services are available on it. Thats a lot of services to put into a mobile app. I didnt find any detailed reviews online and hence I explored the application myself. All my tests were done on android phone and desktop. 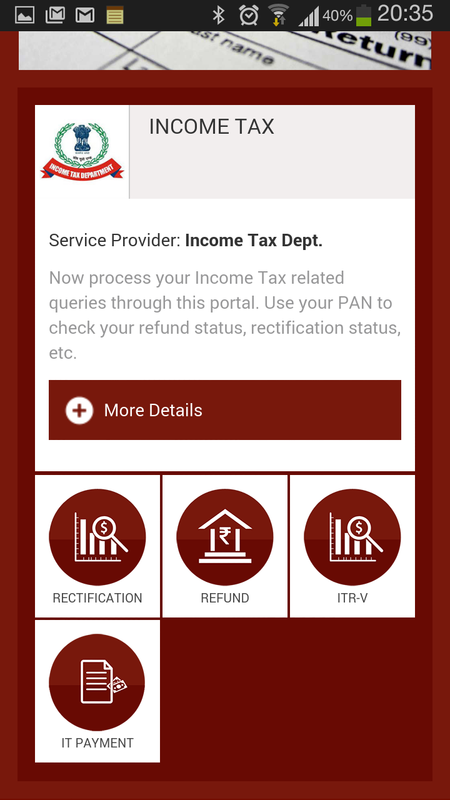 Available on mobile web, Android App, iOS App, SMS(161), USSD(*161#), IVR/Helpline (+1-800-425-425-426) or you can give a missed call to 1-800-425-425-425 to get all the information as an SMS. This is a multi part detailed review. 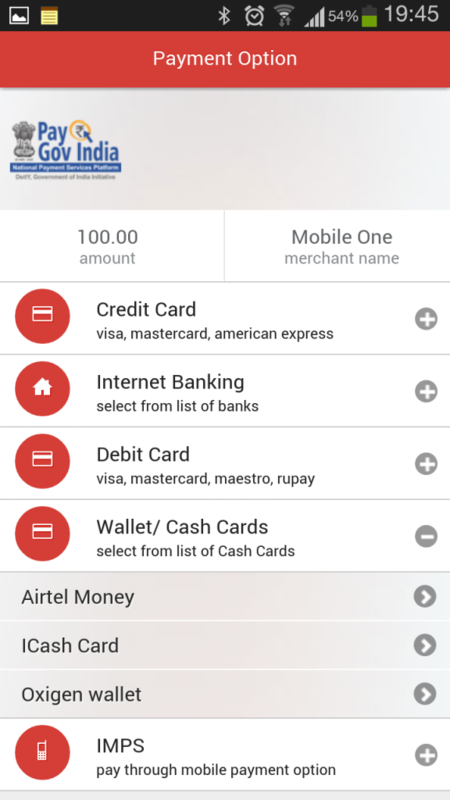 In this first part I will go through the general features of the app. This part is long and has lots of screen shots. So get you ” src=”https://s.w.org/images/core/emoji/72×72/2615.png”> and settle down. 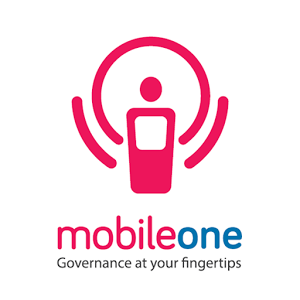 MobileOne is a mobile first service. They don’t have a desktop website though you can access the mobile site on browser and use it. It’s quite fast and easy to use it on the Desktop too. On mobile the website looks great and renders properly. 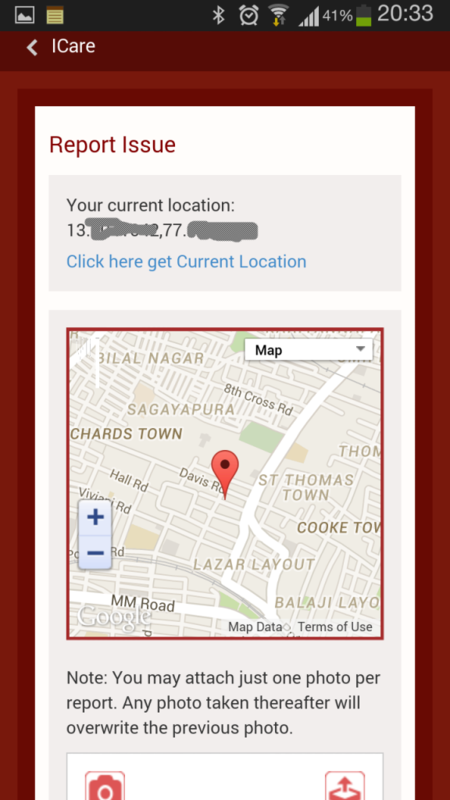 The site uses standard Bootstrap and Jquery UI libraries and hence I believe it will look great on other phones and tablets too. They have both Android and Iphone app. 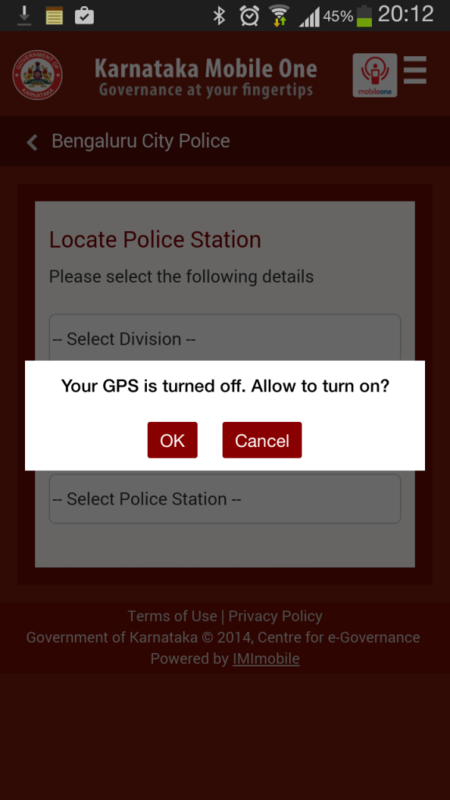 Android app looked like a basic wrapper around the website. So it’s basically what you see on the browser inside a custom app browser. I did not check the iphone app. For non smart users, they also provide SMS, IVR and USSD service. Though English is the default language all the services are available on Kannada too. 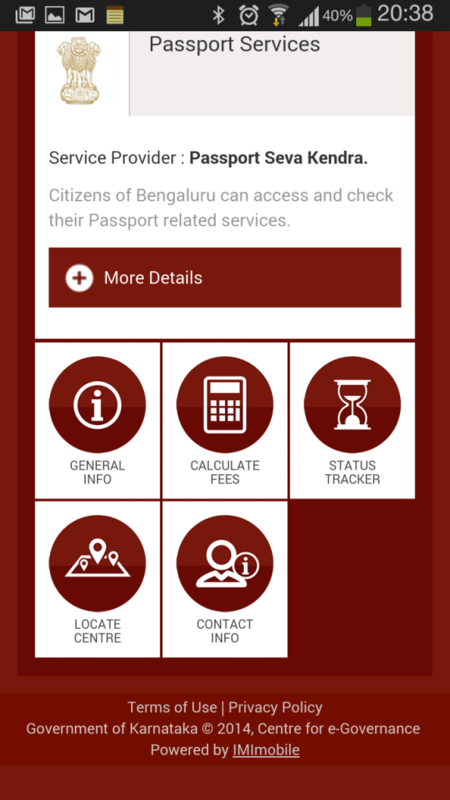 Even USSD has Kannada as a choice. 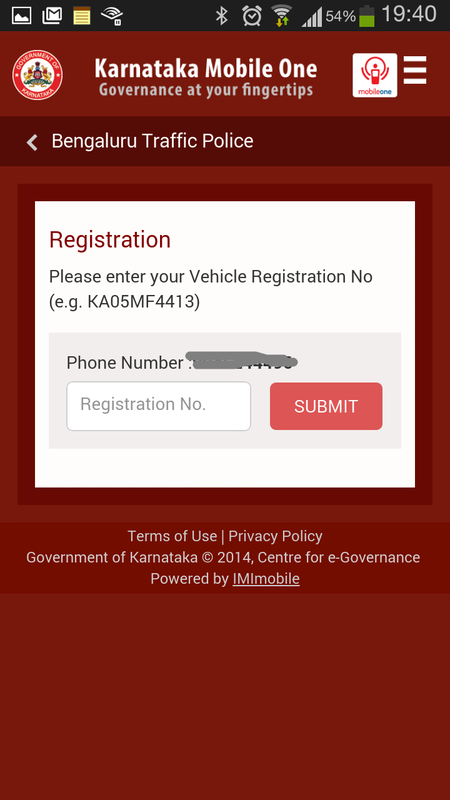 On SMS they don’t provide services in Kannada. I can understand the reason as it is extremely difficult to provide a reliable Indic SMS based service. 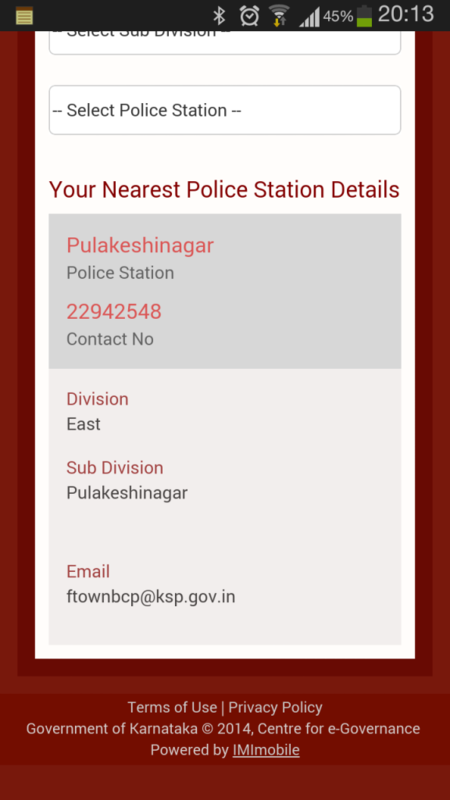 Also some of the forms wouldn’t take Kannada as input. Again this is technical issue. Unless you put a lot of effort its extremely difficult to provide a reliable service. But they have done a great job for version. For the usability point of view, I was skeptical as the advertisements boasted 4000 services cramped into one app. But after using the App for a day. I was quite happy with the way it looked. Though there are a few glitches like back button on any screen is very small. It’s difficult to click on it. Also the UI was little sluggish but that I think was due to server response time. It should improve in coming days. All in all it was extremely simple and easy to register and login. Once you login you can set other things like address, language etc in the profile settings. 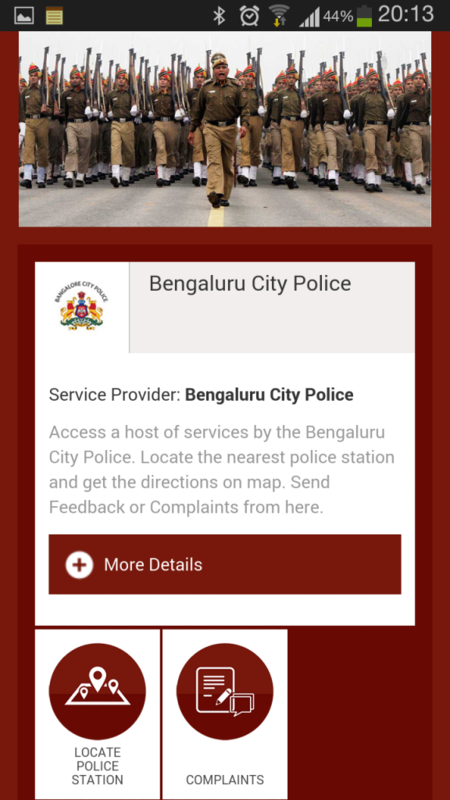 They promise around 4000+ services. 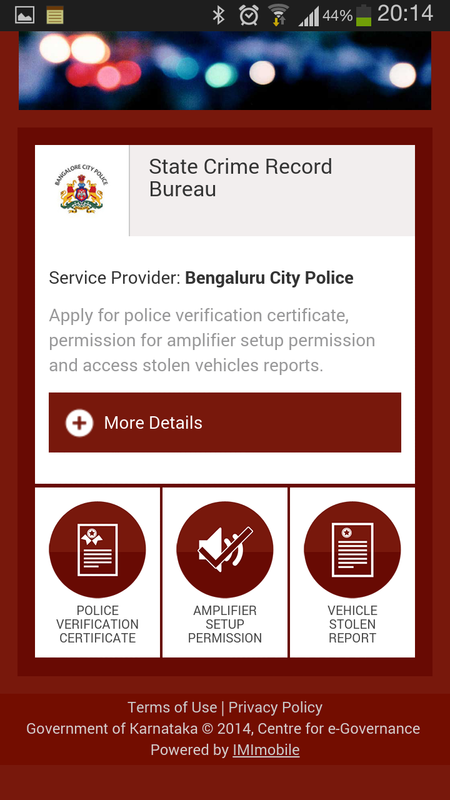 It’s important to note that it includes services by many agencies by GoK, GoI and private agencies too. Not all services are free. Most bill pay services have extra charge for online payments. 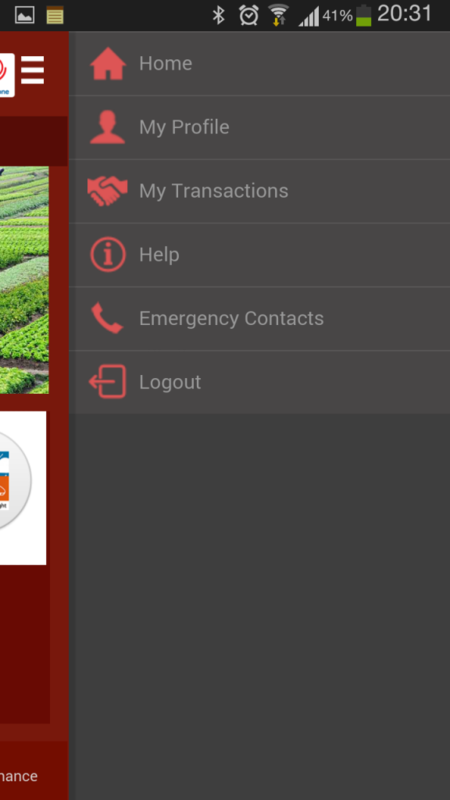 As soon as you open the app, you see matrix arrangement of services. If you click on the last one it will lead to page two of the services. Once you enter a service. It shows the organizations or agencies under that section of service. 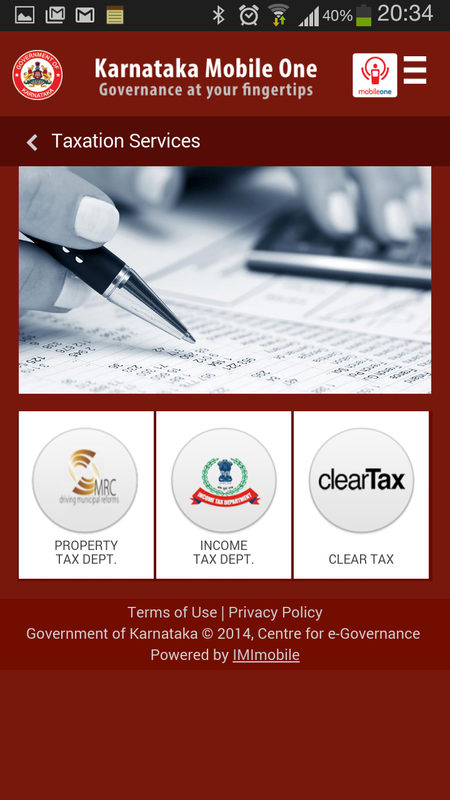 You have to click on the organization to go to a page which mentions all the services provided that organization. Though it looks difficult. It’s fairly straight forward and easy to navigate. Some of the actual service interfaces are easy. Some of them are a little confusing. For example to know the fines on your vehicle. 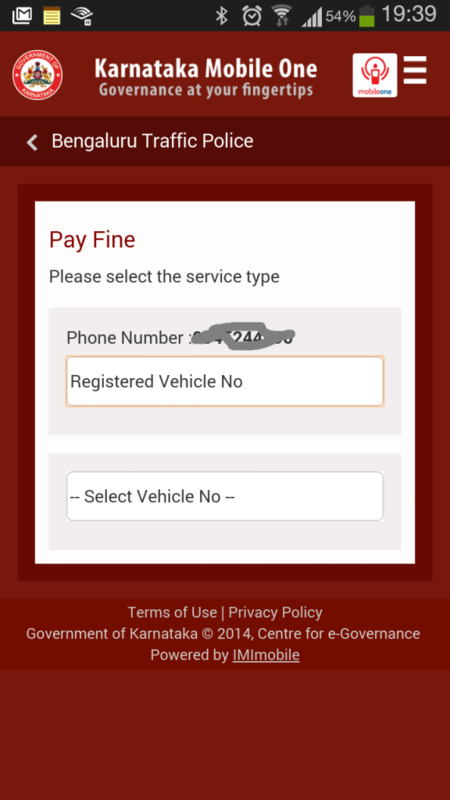 You need to register on a different screen and then come to pay fine screen to pay. But there is no hint to do this. Also some of the dropdown boxes look or appear like textboxes. Which is very weird and bad usability. All the bill pays are paid services, in the sense you pay extra for paying online and my favorite PayTM is not available. There are literally thousands of services and hence difficult to write about them all. You can find the list of all the services available on their website. 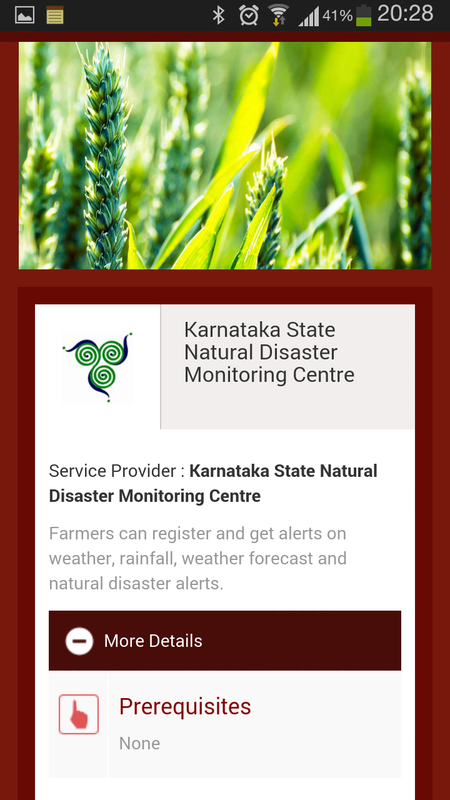 I will end this first part with two more interesting services.Free SMS weather alert service and civic reporting service.